Great news, parents! Fear can be fixed. | ECHOage - Get great gifts. Give to charity. Great news, parents! Fear can be fixed. 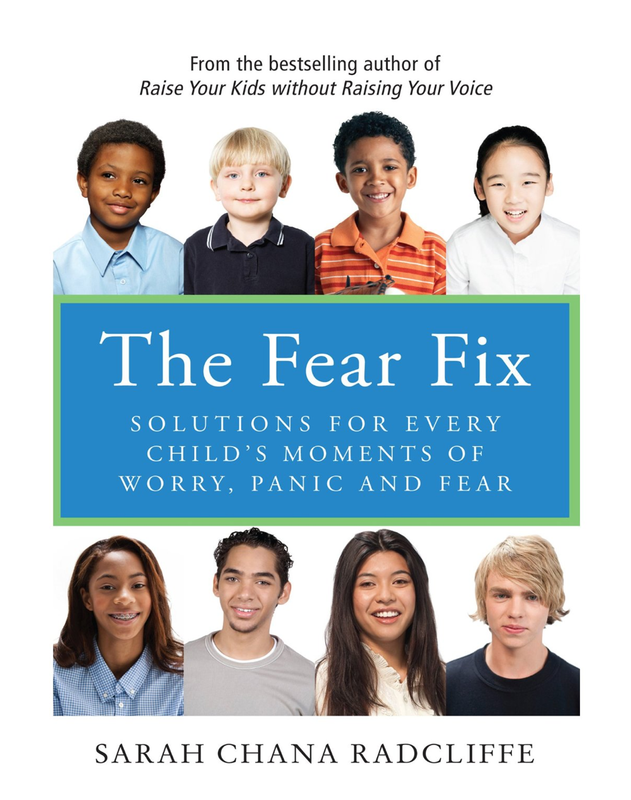 ECHOage would like to welcome back our guest blogger Sarah Chana Radcliffe who shares how she was personally inspired by her son to write her new book: The Fear Fix, Solutions for Every Child’s Moments of Worry, Panic and Fear. If you have a child who is suffering, or know someone who does, please share this amazing new resource. It’s a long time ago now, but I’ll never forget it. My little boy developed a fear of robbers. At first I thought it was nothing – something that would clear up by itself in a few days, or at worst, in a few weeks. But that’s not what occurred. Instead, the fear grabbed hold of his brain. He couldn’t fall asleep at night because of the robbers. I practice psychology – so I do know a few tricks – so I used all of them on him – to no avail. Soon he was worrying about robbers the minute he walked in the door from school! And then, he began to wake up in the morning with robbers front and centre. I felt I was going to lose my own mind to these robbers if I didn’t find a way to get rid of them. Fortunately, the story ends happily because I finally discovered how to free my child from his fear and us from its tyranny. Along the way I learned that there are ways for all of us to enjoy greater peace of mind and freedom from fear. Whether it’s worry about our loved ones, fear of bugs, separation or sleeping alone, stress about tornadoes, terrorists or the world situation, or panic about flying or public speaking – or any other fear – it turns out that there are powerful ways to replace anxious feelings with calm confidence. I share these strategies now in “The Fear Fix” so that no child needs to suffer the torment of unremitting fear and no parent has to experience the helplessness and worry of watching that suffering. Moreover, kids who know how to release their own fear and stress are far less likely to become teenagers who turn to drugs, alcohol and other dysfunctional attempts to quiet their anxious feelings. When you help your child through fear, you help him or her through life itself. So fear not, The Fear Fix is here. BY: Sarah Chana Radcliffe, M.Ed.,C.Psych.Assoc.